A little late to the scene, it’s been about five years since bubble tea, or boba tea, started to take off in the UK. It was created in Taiwan in the 1980s when a dessert shop started putting left over tapioca balls in iced milk teas at the end of an evening*. Bubble tea has grown enormously popular in hotter climes, notably Hong Kong and Australia. It has been slower to catch on in the UK, perhaps due to the weather. A hot chocolate with marshmallows is always going to beat an iced milk tea in winter. Despite this, a number of bubble tea shops have found success. 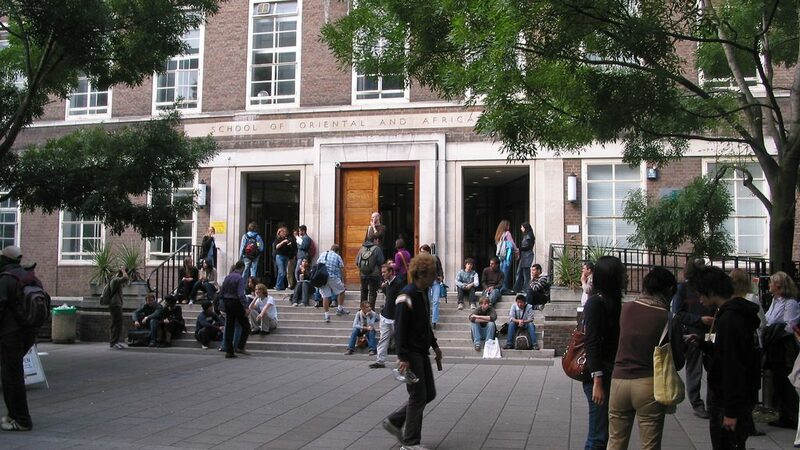 Soho has one of the highest concentrations including Bubbleology (which makes a fairly simple process look like a chemistry set), Bobajam, and Leong’s Legend (also a Taiwanese restaurant). Cafe de Hong Kong in Charing Cross is another hit, but the most popular remains Chaboba in Camden, frequently heralded as the best amongst bubble tea enthusiasts. 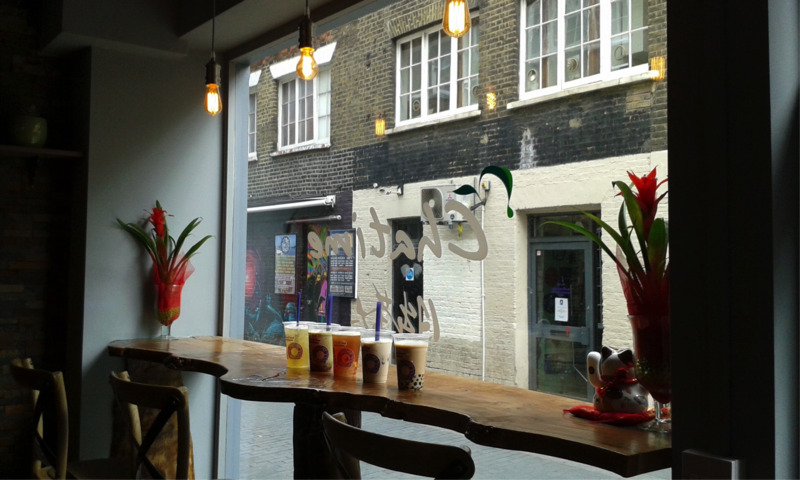 With shops in Soho, Chinatown, Portobello Road and the Brunswick Centre (a couple blocks from campus), Chatime has so far been one of the most ambitious. Its latest shop opened in April on Rivington Street in Shoreditch, five minutes walk from Old Street roundabout. Chatime describes itself as a franchise teahouse chain. While not technically a teahouse in the traditional sense, the décor is more traditional than other bubble tea shops, and it imports its produce directly from Taiwan and brews its own tapioca fresh each morning. Bubble tea usually involves a cold milky tea or fruit tea served in frappe-style takeaway cups or tall glasses and includes tapioca (known in bubble tea shops as ‘pearl’), jellies or red bean toppings. The name bubble tea is often mistakenly assumed to refer to the toppings (which do look like coloured bubbles) but in fact refers to the drinks frothiness after being thrown around in a cocktail shaker. Because the tea is often very sweet, Chatime, like other bubble tea shops, offers you the chance to chose a sugar level – a particularly useful add-on. 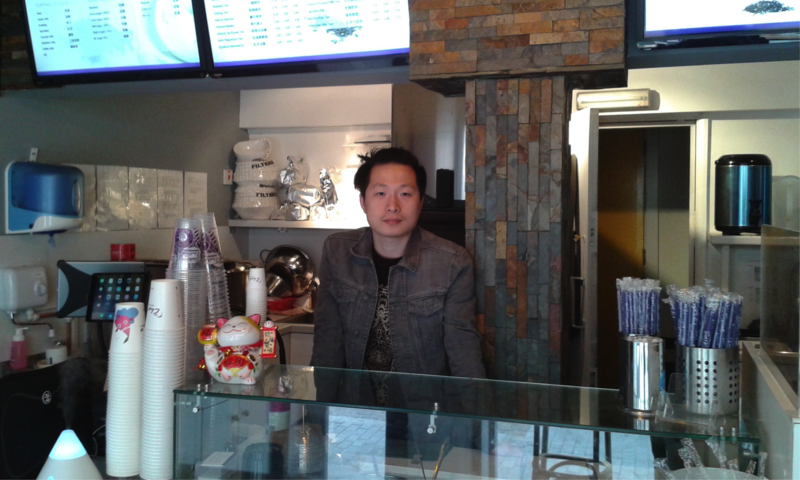 Tao, manager of Chatime Shoreditch, gave me five drinks to try. The first, roast milk tea with grass jelly was pleasant but for a slight taste of cardboard. The second, Chatime milk tea with pearl, a more traditional option, was lovely and my favourite. Fruit tea options include mango, lychee, passion fruit, peach and lemon. These make very refreshing drinks, ideal for the incoming summer months. I found the lychee black tea with coffee, rainbow and coconut jellies a more refreshing drink than a frappe. Other drinks suited a slightly different palette, with a few being particularly popular amongst Asian drinkers. Matcha milk tea with red bean is one example, and I found it left a nice aftertaste. However, the brown rice green tea tasted of bitter popcorn. I’m sure Chatime’s sugar options can remedy this, though, and I would suggest playing around with these levels. 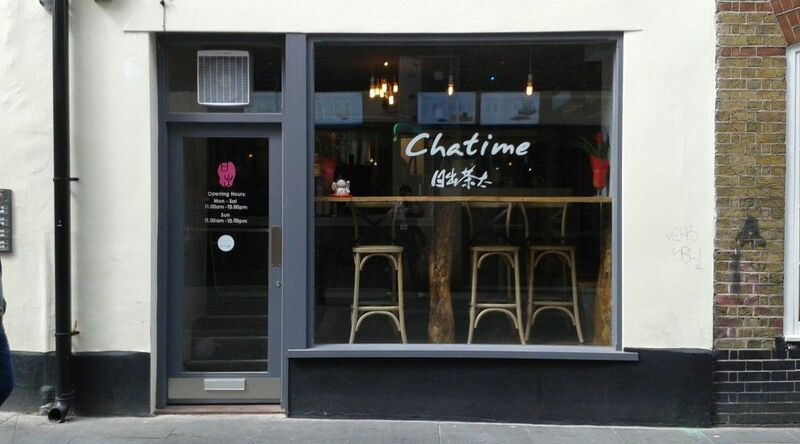 I have only one misgiving about Chatime Shoreditch and that’s its location. It is not prominently situated and midweek footfall seemed almost completely absent along the road. Furthermore, for Birkbeck students a closer one can be found at the Brunswick Centre. Nevertheless, Chatime’s bubble tea is a welcome addition to the cities wondrous variety of drinks on offer. Another growing trend has been expanding through London recently. Coconut water has become one of the latest ‘fresh’ and ‘natural’ drink products hitting the shops. 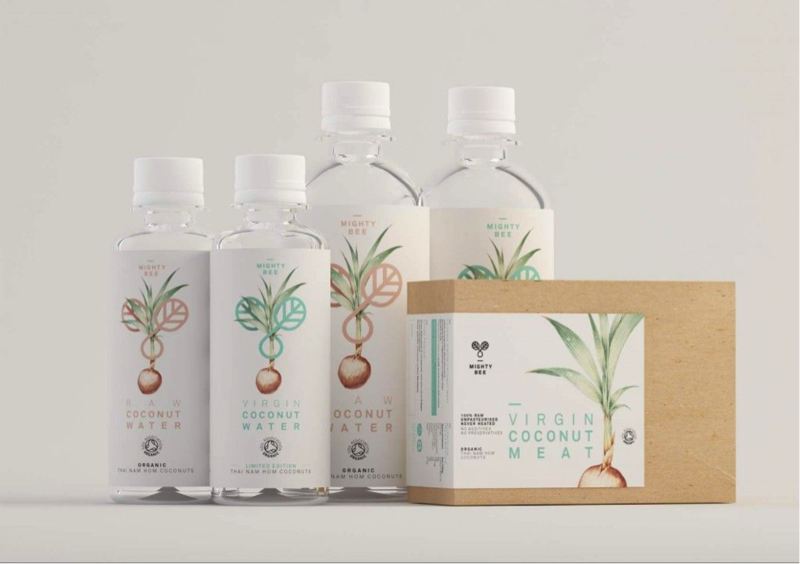 MightyBee, a newcomer in the market, promotes its coconut water as a fresh, organic and refreshing drink made from coconuts picked green in Thailand. I was fairly confident I would like it as it contains coconut, which I like, and water, which I also like. 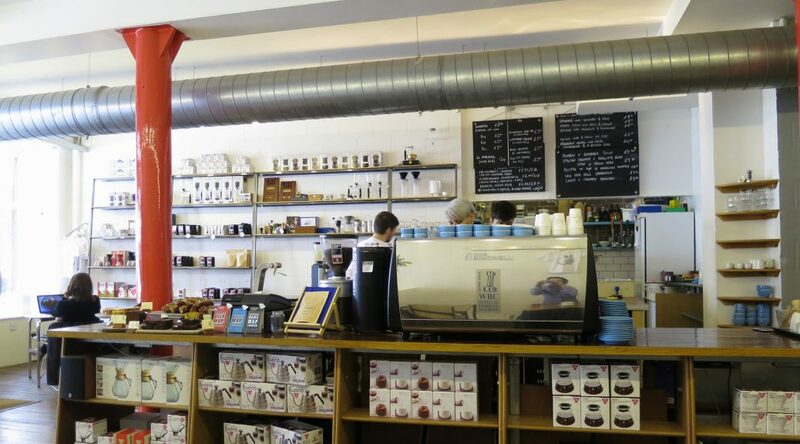 However, while I admire MightyBee’s organic and community-focused ethics (it is certified organic by the Soil Association and describes itself as ‘advocates of fair trade’) it has to be said the nicest description I could find for it was niche, and I’m not wholly convinced this will catch on. Currently only delivering to stockists in London, I can imagine it being found on refrigerated lunch counters in high street shops. I just can’t imagine it competing for long with other, more refreshing drinks on offer, like water. I am happy to be proved wrong, but a drink that smells of tangy cheese doritos has a bit of a hill to climb. *Bubble tea’s origins are disputed.